Hopeful GRIT is an introduction to Angela Duckworth’s work on GRIT and Ray Johnston’s work on Hope Quotient with the intent of applying principles in the classroom to improve student retention and overall performance. Eighty Four percent of students want faculty who will be concerned about them as a person and their success. Hopeful GRIT is a model of how to help students build their perseverance muscles and improve their academic performance. Angela Duckworth conducted studies involving National Spelling Bee champions, elite military trained graduates, and top corporate sales people to determine if the secret to their success was talent or effort. 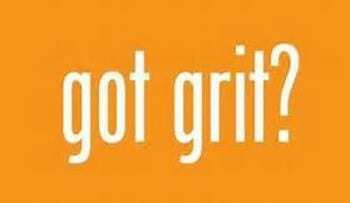 The science showed that GRIT – the sustained application of effort towards a long-term goal, is the biggest predictor of lifelong achievement. GRIT can grow by helping students identify their interests, improve the quality of their practice, connect their work to their purpose, and finally create a sense of hope through the entire journey. Hope liberates by releasing us from past mistakes. Hope motivates by helping us bounce back. Hope initiates by setting us free to dream. Hope actives by providing the fuel needed to make the world a better place. Hope is the greatest gift we can give and grow in our students. Ray Johnston says that hope is “a state of being God creates in you.” He encourages the building of seven hope-building factors in our life. I want to emphasize the third one: refocusing on the future by asking “what can this become?” Jesus did this when he called the disciples saying, “Follow Me, and I will make you become fishers of men” (Mark 1:17 NASB). Jesus was not focused on what people were like; he was focused on what they could become. Are we seeing our students and their work through this same lens: what can they become? Five years ago, the retention rate in our graduate business program at the Memphis campus was 67 percent. We changed the way we taught the program’s gateway course and attempted to be more intentional about motivation by incorporating mini-lectures on grit, hope, dreaming, and addressing thoughts that had the potential to sabotage a student’s success. We have seen some good results in that by 2016 the retention rate increased to 82 percent and in 2017 it was up to 90%. Some points of reflection for you consider might be 1) how can we develop and strengthen GRIT in our students? 2) how can we become better purveyors of hope to inspire students? 3) how can this be accomplished in various teaching venues: on-ground or online? Hopefully, you can see the value of encouraging students, developing their perseverance muscles, and helping them persist until they reach the goal set before them in their academic studies. The PDF at this LINK provides the entire presentation and may help spark some more ideas to this end.